Notice that since this is a MemberExpression where we're just getting a value from a property, we can simply use the Member.Name to get at the "FirstName" string. And then we can use the Compile() method of the Expression<TDelegate> class to get executable code in the form of a delegate that represents the lambda. Now that we have the Func<T> we can simply call Invoke() to get at the value of the FirstName property. Now that we have the name and value, we can pass it to the already existing TextBox extension methods. UPDATE: This post is now out of date as of the CTP5 release of the MVC framework. For the lastest version, see this post here. One of the areas of MVC that is still an open area in development is how best to handle UI validations. There are numerous approaches currently being examined. The Enterprise Library's VAB is great because it allows you to specify all your validation logic in your business layer where it belongs rather than in your UI. Additionally, it comes with the PropertyProxyValidator to automatically display validation messages in the UI and avoid having to put hundreds of validators on a page. 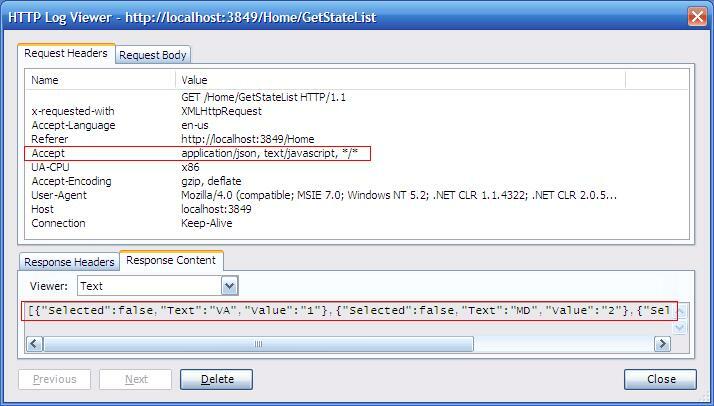 However, the PropertyProxyValidator is a traditional ASP.NET validator control and does not work in the MVC framework. One note here is that you can see I'm using a class called TagBuilder inside my method. This is actually an internal class in the System.Web.Mvc assembly. I just cracked open Reflector and did a complete copy/paste of that code into my own assembly so that I could leverage it. But what would be really nice is if Microsoft would change the accessibility on that class to public to more easily enable scenarios like this when people want to build their own control extension methods. But then when you run it in an ASP.NET application with the PropertyProxyValidator validation control provided by VAB, your business object suddenly shows as valid even though the user left the text box blank. 2:  <vab:PropertyProxyValidator id="firstNameVal" runat="server" ControlToValidate="txtFirstName"
Additionally, the VAB will allow you to specify whether you want the number specified for the lower/upper bound to be considered inclusvie/exclusive for the range.